If there is one thing about the new "Alien" movie franchise, "Alien Covenant" that keeps the fans of the movie hooked to its story is that every time a sequel is released, moviegoers are trying to compare it to the last movie franchise. The "Alien Covenant" does not really offer something new in terms of story, but the special effects and the not so surprising twist at the end make it a forgivable "Alien" movie sequel you should not miss. I think, when it comes to story, the previous "Alien" movie, "Prometheus" is a much better sequel than the "Alien Covenant". The previous explores some of the origin of mankind by pointing out different studies of alien coincidences in the previous centuries and has depth actually, while the latter simply pointed out the greediness or the lack of sympathy and human emotions of an old-style programmed Android. Too shallow for a movie's theme I presume. Perhaps the saving grace of the film is the special effects. The deep space scenes and the visual makeups are believable and eye-catching. I thought the "Alien Covenant" will open new doors to exploration after that last scene in "Prometheus" with Dr. Elizabeth Shaw, but to no avail, more questions are left behind with a cliffhanger ending. Actually, the "Aliens" here are more like of a garnish instead of the starring role of the film. 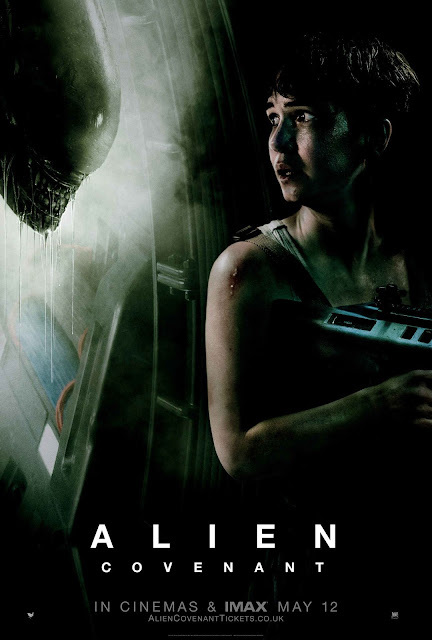 In recent decades perhaps, the Alien movie franchise series has evolved into something which moviegoers can relate more to human lead roles instead of being scared to Aliens killing people. This is what happened to . "Alien Covenant". Overall, we were not really disappointed with the movie "Alien Covenant" only a bit broken. The movie is also too lengthy to understand the whims of an old Android robot. We give this movie a 7 out of 10 movie experience because it may also entertain you if you are into space technology thingies and into Michael Fassbender as well. I'm pretty sure this movie could have been better if the story has been thought really hard. Oh well. Anyway, I think you may still catch it this weekend showing.